On June 1, 2018, the Embassy of the North Sea was established at Lange Voorhout 19 in The Hague, based on the starting point: the sea is by itself. Representatives presented the North Sea as an independent entity, as its own political body with self-determination from 2030. From now on the North Sea is a political discussion partner, with a support base running from France to Norway, from seabed to atmosphere. From microscopic users such as plankton, to large users such as people and whales. From far-reaching horizons and tides, to local waves and currents. Preparations for a sovereign North Sea will be taken and negotiations will take place in the next twelve years. At the Embassy of the North Sea, things, plants, animals and people in and around the North Sea get a voice. From 1 March to 30 June, the Embassy is building and working on a Plea on behalf of the North Sea. The process can be followed on this website. At the end of June 2018, the Plea is presented in The Hague. We live together with the sea. She marvels and feeds us, once we came from her. At the same time we feared and tamed partly the big mirror of our country. The sea always stirs, in all sorts of ways. What is our relationship with our largest public space in 2018? What does the sea have to tell us? How do we improve our relationship with the North Sea, in favor of human and non-human life and the lives of future generations? Especially in the year in which the national government is working on a policy vision for the sea for the period up to 2030, we want to contribute to the dialogue by making as many voices, ideas and insights as possible: what would the North Sea itself say? What are the interests of fish, birds and algae? What do windmills, fishermen and ports say? 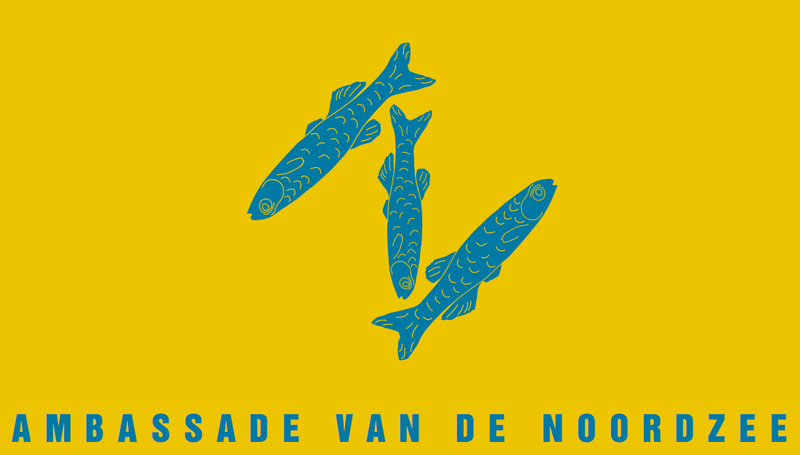 The Embassy of the North Sea is an initiative of the Parliament of Things and is being built by Stroom Den Haag, De Noordzee Foundation, Building Conversation, The Ponies and Waag Society, with support from Creative Industries Fund NL, Mondriaan Fund and Bank Giro Loterij Fund and collaboration of Daan ‘t Sas, Tjallien Walma van der Molen, Studio Alloy, Jasper van den Berg, Partizan Publik, Andrea Simmelink and Jasmine De Bruycker. The photo images on this website are from Udo van Dongen, Juan Cuetos and Mart Smit. 09-03-2018 - (NL) Verbeelding aan de macht!